The old saying that all disease begins in the gut still rings true today, and more research is pointing to the strong connection between gut health and mental health. While we don’t always connect the gut and the brain together, there is a very strong tie between how healthy our digestive system is and how we feel emotionally. Let’s take a look at the connection between digestive health and depression and then look at three ways you can support your overall mood through boosting gut health. For centuries, depression was thought to be caused by an imbalance in neurotransmitters in the brain. However, new research is also showing a strong connection between inflammation and depression. Since the gut is home to the majority of our immune cells and contains trillions of different species of bacteria, any type of foreign invader or potential threat will trigger inflammation in the gut. This can be caused by a certain food, medication, environmental toxins, and stress to name a few. When our body is confronted with these inflammatory invaders, the immune system will respond to these threats and thus trigger an inflammatory reaction in the gut. Consuming inflammatory foods like sugar, fried foods, and artificial sweeteners are also big triggers for inflammation. Overtime, these foods can cause an imbalance in the bacteria in your gut and can even go on to cause leaky gut syndrome if the body is constantly having to respond to their inflammatory foods. The more inflammation that occurs in the gut, the more you may experience symptoms of depression and anxiety as the two truly go hand in hand. So, what can you do to support a better mood and a healthier digestive system? The first place to start is to reduce inflammation. You can do so through the foods you consume. You can also reduce inflammation through lifestyle changes like exercise and stress reduction. #1 Enjoy Anti-inflammatory Foods: Enjoying foods like berries, turmeric, wild-caught salmon, chia and flax seeds, and dark leafy greens regularly. These foods will nourish the gut and help reduce inflammation which all play a role in your mental health. On top of adding anti-inflammatory foods to your diet, you can also try supplementing with an adaptogenic herb blend like Yinergy or Vigor. These blends will help support the adrenal glands, reduce feelings of stress, and help you feel more productive each day. Supplementing with Yinergy or Vigor on top of enjoying an anti-inflammatory diet is an excellent way to support better digestive and mental health. #2 Get Moving: Being sedentary doesn’t do your mental health any good. Try getting your body moving just a little bit each day to release the endorphins that make you feel happy! Choose some form of exercise you enjoy so that you are more likely to stick to your exercise routine. #3 Reduce Stress: We all know that stress puts a burden on our mental health, but it can also cause all sorts of unwanted digestive issues and inflammation. 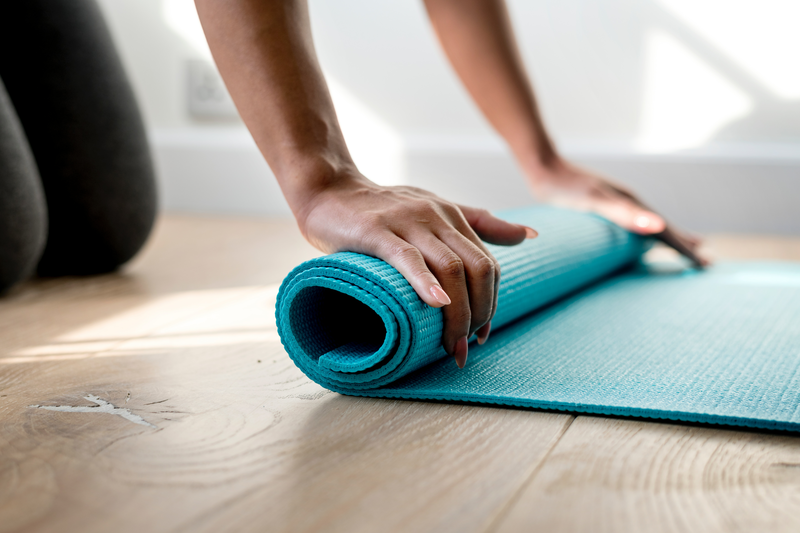 Try doing some form of daily stress reduction to calm the nervous system and promote better digestion, both of which will help you feel better mentally. Remember that all disease truly does begin in the gut, and mental health is no exception here. Try incorporating these three tips into your daily life to see how much better you feel physically and mentally.